The beginning of the end of Stanley Johnson's tenure in Detroit may have been foreshadowed at last June's draft. Nikola Mirotic #3 of the New Orleans Pelicans looks on against the Cleveland Cavaliers at Smoothie King Center on January 09, 2019 in New Orleans, Louisiana. It was reported on Wednesday that Detroit traded Johnson to Milwaukee for Thon Maker, but neither team ever formally announced the deal - despite the news making the rounds on Twitter. He averaged 7.5 points and 3.6 rebounds while shooting just 38 percent from the field in 48 games this season. Maker is 7-1 and was selected 10th overall by the Bucks in 2016. He's tallied 10 games with at least 20 points, including two games with 30 or more points, and 11 double-doubles this season while knocking down multiple 3-pointers in 23 of his 32 games played. Maker, 7-foot-1, 221, averaged 4.7 points and 2.7 rebounds in 35 games with the Bucks this season. While there's still some time left between now and the deadline, the message is simple with this trade: the best team in the National Basketball Association has their sights set on this year to make some real waves come playoff time. He was part of the team's second unit when Ersan Ilyasova was injured, but forward D.J. 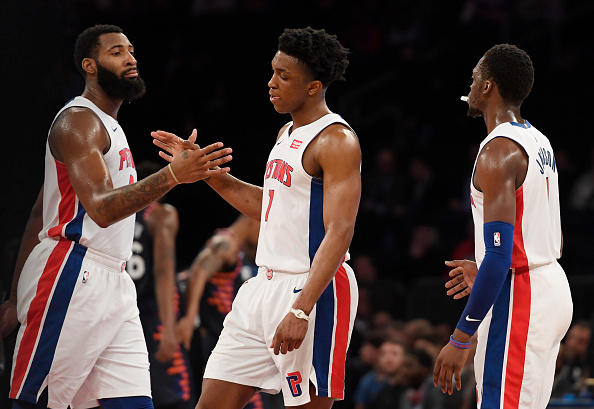 Milwaukee will host the Washington Wizards tonight, February 6, while the Pistons prepare for the second game of a home & home against the Knicks in Detroit on Friday night. Johnson was the Pistons' first-round pick in 2015, going eighth overall.